Let's face it, very few actually have the time these days to step into a gym to work out. Our hectic lifestyles prohibit us to do several things. Which is why home workouts are gaining so much popularity. You can do it anytime and at your convenience. However, for certain home workouts, you need the right kind of equipment. 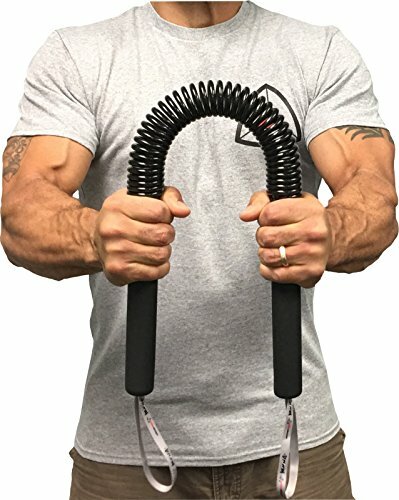 If you are particularly looking to work out your chest, biceps, triceps, wrist, forearm, back, and deltoids, then a power twister is exactly what you need. Hence, in this article, we'll be reviewing best power twister bars for home workouts. Check out the specifications of the best power twister bars in the below table. What is a Power Twister Bar? Essentially, the power twister bar is a pole with a handle and powerful springs on both ends. To use, you have to grab it at both the ends and then use your force by using your pecs in order to bend the pole right down at the middle. 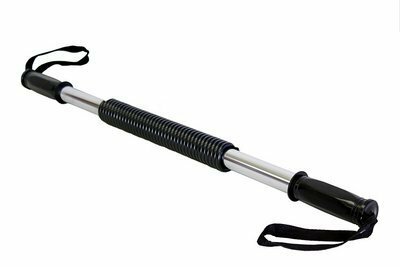 The power twister bar is made out of two metal rods along with molded grips that have a spring coil made out of metal between them. Most of them weigh about four pounds and are about 27 inches long. Each one of their springs has various degrees of tension. 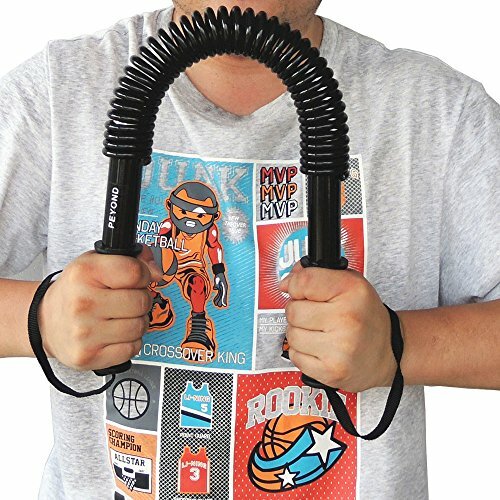 The power twister is vaguely similar to a resistance band or even a grip trainer. However, the difference between all of them is the resistance it can possibly offer. High end power twisters are capable of providing a resistance of 100 kgs. or even more. If you opt for more basic models, they will have a resistance of at least 40 to 50 kgs. Another difference between this and resistance bands is that the former is too light and the results it provides is barely visible. Why Should You Use a Power Twister Bar? One of the biggest benefits of using this bar is that it is quite light and portable. This means that you can put inside a bag, carry it around wherever you'd like and be able to get a 100 kg chest workout anytime. There is also less risk of any injury when you use this because you don't have to lift any heavy weights to put into position and the results are as good as that of heavy equipments. Very few power twister bars feature long handles. Thankfully the Python Twister Bar comes with a patent pending long handle. Resistance: This twister bar is one of the best ones on the market because it has the ability to provide resistance between 18 kgs to 45 kgs, making it perfect for beginners as well as professionals. Moreover, it has long handles that allow the user to increase or decrease the level of resistance. The 1UP Power Twister Bar is an excellent home workout equipment that will easily help you strengthen your biceps, triceps, back, chest, shoulders and your overall grip. Build: This twister bar is built with only high-quality materials that will ensure to last this product for a very long time. The handles have a soft plastic grip for comfort, the steel composition is high grade while the springs used are made of carbon steel. Resistance: This power twister bar can offer up to 30 kgs. of resistance. This is perfect for beginners or athletes who need lesser resistance. Safety: The twister bar has a wrist support attached which will allow your workouts to be more secure and minimize any possibility of an injury. If you are looking for multiple choices of resistance from just one brand of power twister, then the Peyond Power Twister Bar is an ideal choice. Build: Made only from quality materials, the Peyond Power Twister Bar has carbon steel springs with a non-slip plastic handle, that offers safety and comfort. Resistance: This brand of power twister is perfect for anyone who is an amateur or for someone who is seasoned. You can opt for resistance option between 20 kgs., 30 kgs., 40 kgs., and 50 kgs. This makes it perfect for young folks and even adults. Safety: As mentioned earlier, the manufacturer has featured the non-slip handles. This will eliminate the possibility of it slipping off from your palms especially when they are sweaty. Sometimes we need multiple resistance options in one Power Twister Bar, and if you are looking out for one of those, then the A-System Power Twister is perfect for you. Build: This power twister bar is made very solidly only out of metal. The spring is hidden behind the metal so that it will eliminate all the discomfort while you are using it. Resistance: The best part about this power twister bar is that it has a knob to increase or decrease the level of resistance. However, this product is only suitable for beginners as it offers a range of resistance between 7.5 kgs and 21 kgs. Safety: As a safety feature, the manufacturer has provided the power twister with rubber handles for a better and comfortable grip. The iHuniu Power Twister Bar is a perfect exercise equipment whether you are a beginner or a seasoned pro. Resistance: The iHuniu power twister bar is perfect for everyone, as they offer multiple resistance options. You can choose between the 30 kgs lightweight, 40 kgs beginner twister bar, 50 kgs professional bar, 60 kgs trainer bar or the 80 kgs heavy twister bar. There are ample choices for everyone. Safety: The handle features a molded plastic grip. This is also non-slip in nature, making it completely safe for use. For an ergonomic design and a high-quality twister bar, the Sunny Health & Fitness Power Twister bar is an ideal choice. Build: The twister bar is built using only solid steel which ensures you get fantastic durability and support and it has a carbon coil spring. It is very light in weight too. Resistance: This bar is perfect only for beginners as it offers about 20 kgs. of resistance. Safety: The power twister bar comes with slip-resistant plastic hand grips along with a safety wrist strap to minimize the possibility of any injury. 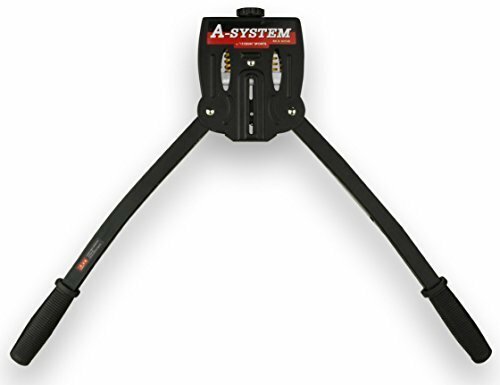 The Ader Dynabender power twister Bar is yet another amazing equipment that works well for beginners as well as professionals. Build: The power twister bar is built with only high-quality materials such as durable steel and the springs too are made of high-grade steel. Resistance: The manufacturer offers this power twister bar in three different resistance levels, they being about 11 kgs, 23 kgs, and 27 kgs. This makes it ideal for beginners and advanced users. Safety: In terms of this bar's safety, it has an inner safety spring along with hard plastic grips with safety straps. Also read: Bowflex Body Tower Review – Is This Pull-up Bar Worth It? These 7 best power twister bars for home workouts are presently the best ones in the market. Each of these have their own unique set of qualities that you will definitely benefit from. Each of these power twister bars are made from high quality materials that are built to last for a very long time, making this a perfect investment.